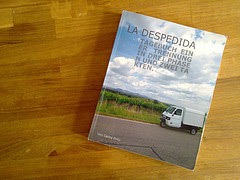 La Despedida - a roadmovie. 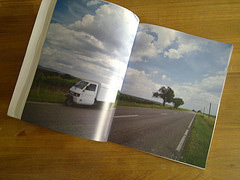 After a difficult break-up Carlos Pinto bought himself an italian three-wheeler to go on a quest through Europe to interview artists and creatives about their point of view on how to say good bye. Equipped with three cameras and a computer he starts his journey from Germany down to Portugal with the goal to arrive just in time for the wedding of his cousin. The result of the recorded material is a mix of roadmovie and documentary on a vehicle that drives slower than your heartbeat on tranqulizers. 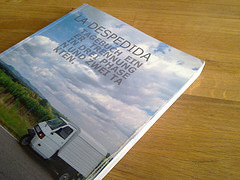 The whole story containing on more then 200 pages not only the travel blog but also the days of separation and preparation. Get the whole story to read containing plenty of colored photos. The book is available as hardcover with dust jacket or simple paper book. 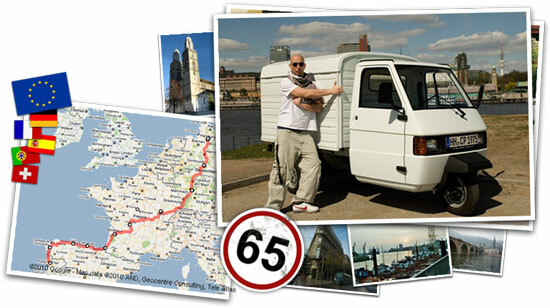 If you do not understand german this version might be perfect for Piaggio Enthusiasts offering dozens of photos taken on the journey crossing Germany, France, Spain, Portugal and Switzerland.